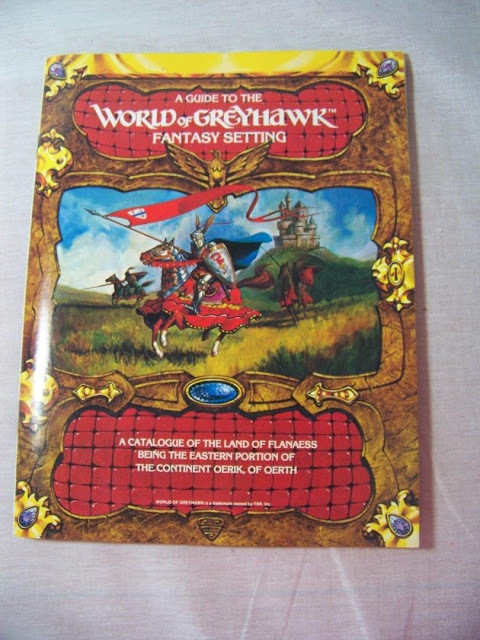 I've been very busy all weekend with lots of folks & I talking about Greyhawk & Mystara. The these two campaign settings are incredibly important & the reason is simple. Events flow back & forth around the planes with echoes of why & how. Mystara & Greyhawk world settings about movers & shakers of power. So let's look at the fact that Ernie Gygax's Tenser is one of the original wizards of Greyhawk & what the ripples of his actions have been. "Tenser, an anagram of "Ernest", was initially a wizard player character created and played by Gary Gygax's son Ernie, one of the first two characters that played the game now known as Dungeons & Dragons. In the fall of 1972, Gary Gygax was working to create rules for a new type of game based on a demonstration he had been given by Dave Arneson. In order to provide a playtest environment in which to develop these rules, Gygax designed his own castle, "Castle Greyhawk", and prepared the first level of a dungeon that lay beneath it. Two of his children, Ernie and Elise, were the first players, and Ernie rolled up a wizard, Tenser. :99 During the evening, the children fought and destroyed the first monsters of the Greyhawk dungeon; Gygax variously recalled this as being some giant centipedes or a nest of scorpions. During the same session, Ernie and Elise also found the first treasure, a chest of 3,000 copper coins (which was too heavy to carry, much to the children's disappointment). After his children had gone to bed, Gygax immediately began to work on the second level of the dungeon. The next night, Don Kaye and Rob and Terry Kuntz joined in, rolling up the character Murlynd, Robilar and Terik respectively. In the following weeks and months, Tenser often adventured with Robilar and Terik. At one point, using their combined forces of loyal henchmen, the three controlled access to the first level of the Greyhawk dungeons while they ransacked the lower levels. Eventually Tenser became the second character to reach the 13th (and at the time, the bottom level) of the Greyhawk dungeons, when he noticed that Robilar was missing and went in search of him. Gary Gygax "borrowed" Tenser's name for two spells, Tenser's floating disc and Tenser's transformation. When Gygax was forced out of TSR in 1985, he lost the rights to most of his characters, except those that were anagrams of his own name. Tenser is one of the famous mages whose spells were included in the 1988 Greyhawk Adventures hardbound. Tenser was reintroduced as a member of a repurposed Circle of Eight in 1989 in The City of Greyhawkboxed set, where he appeared as part of a cabal of nine wizards, including himself, who sought to balance the forces of Good and Evil in the world"
So not only is Tenser a major player on Greyhawk but according to the same wiki entry he's a sixteenth level wizard & fifth level archmage. 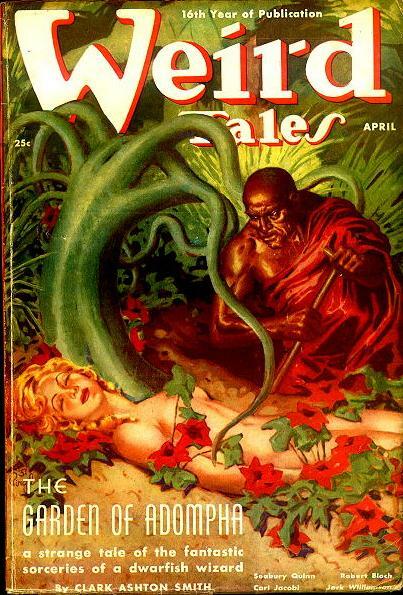 This isn't what makes him so dangerous because what makes the character so dangerous is the fact that Ernie Gygax's favorite author is Jack Vance. PC level is a strange beast at best & at worse an indicator of power but as we've seen time & again wizards especially arch wizards are a wily & cagey lot. 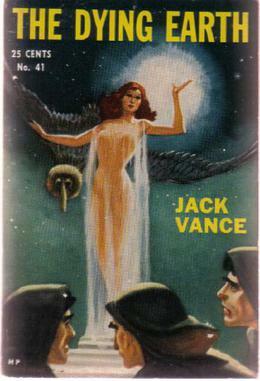 In Jack Vance's Dying Earth book we get the inside scoop on Turjan. The last keeper of the most powerful one hundred spells but there's a lot more going on below the surface here. Tenser's fate affects the balance of power on Greyhawk just as Turjan does on the Dying Earth. "In 570 CY, Tenser accompanied Bigby and Neb Retnar beneath Greyhawk Castle in an unsuccessful attempt to prevent Robilar, Riggby, and Quij from freeing the demigod Iuz. In 579 CY, Robilar sacked the Temple of Elemental Evil, freeing the demoness Zuggtmoy in the process. In retribution, Tenser, Otis, Rufus, and Burne led an army of good-aligned forces in pursuit of his former companion, following him back to his castle and laying siege to it, defeating his armies and driving them from the Domain of Greyhawk to the Pomarj." "Just a bit of stuff I rolled around in my head about Tylari III - former Empress of Alphatia prior to Tylion IV. According to Tylion's write-up in DotE, she ruled Alphatia until about AC 920 and then abdicated to pursue Immortality. At which point she promptly disappeared from all notice. So what happened to her? First, a few speculative conclusions. There are several ways to achieve Immortality, but most don't fit what's happened. Becoming a Paragon (Immortality through demonstrated mastery of mortal magic) doesn't really fit with abdicating the throne of the most powerful wizardly empire on Mystara; becoming a Dynast (Immortality through creating and preserving a great kingdom) definitely doesn't fit here. And the path of the Epic Hero (Immortality through spectacular and legendary deeds) is hard to reconcile with the whole "disappeared and was never heard from again" bit. So it seems likely that Tylari embarked on the path of the Polymath - Immortality through breadth of experience." That's right she went from minor NPC empress to major immortal in Mystara. What you do with her from there is up to you but the path of power is littered with these characters. "Her character may have been rooted in Welsh mythology as well as other earlier myths and historical figures. The earliest account, by Geoffrey of Monmouth in Vita Merlini, refers to Morgan in conjunction with the Isle of Apples (Avalon), which is where Arthur was carried after being fatally wounded in the Battle of Camlann. There, and in the early chivalric romances by Chrétien de Troyes and others, her chief role is that of a great healer. It is Chrétien who establishes her as Arthur's supernatural elder sister. 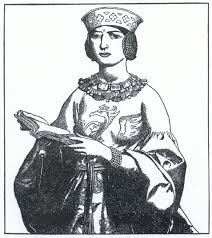 In the Robert de Boron-derived French prose versions and the works based on them, including among them Thomas Malory's influential Le Morte d'Arthur, she is usually established as the youngest daughter of Arthur's mother, Igraine, and her first husband, Gorlois. Arthur, son of Igraine and Uther, is Morgan's half-brother; Mordred's mother Morgause is one of Morgan's sisters. Morgan unhappily marries Urien with whom she has a son, Yvain. She becomes an apprentice of Merlin, and a vindictive adversary of some knights of the Round Table, all the while harboring a special hatred for Arthur's wife Guinevere. In this tradition, she is also sexually active and even predatory, taking numerous lovers that may include Merlin and Accolon, with an unrequited love for Lancelot. In some variants, including the popular retelling by Malory, Morgan is the greatest enemy of Arthur, scheming to usurp his throne, indirectly becoming an instrument of his death; however, she eventually reconciles with Arthur, and retains her original role of taking him on his final journey to Avalon." Without her the Chess pieces & parts of the various cycles of Avalon would not have played out correctly. Without the sacking of the dungeon by Tenser & co Luz would not be free; "In 570 CY, Tenser accompanied Bigby and Neb Retnar beneath Greyhawk Castle in an unsuccessful attempt to prevent Robilar, Riggby, and Quij from freeing the demigod Iuz." These agents of fate have been playing their hands at the table as NPC's for millennia. We see these cults of chaos quietly carrying out what they see as their supernatural duty even in Shakespeare. 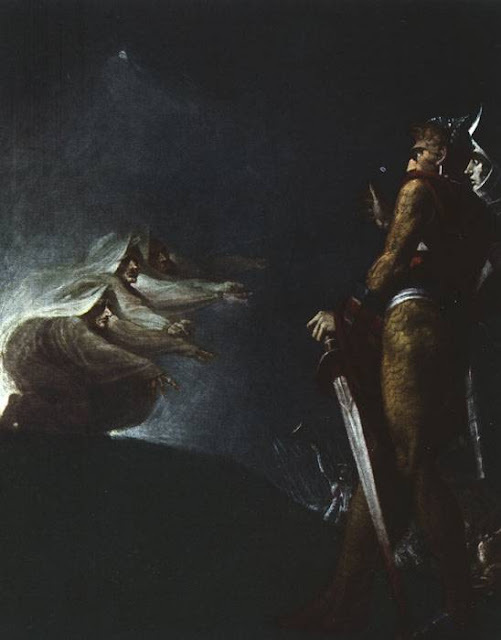 The Wayward Sisters carried out their sacred duty with Macbeth & then watched from a distance as chaos & tragic events unfolded. 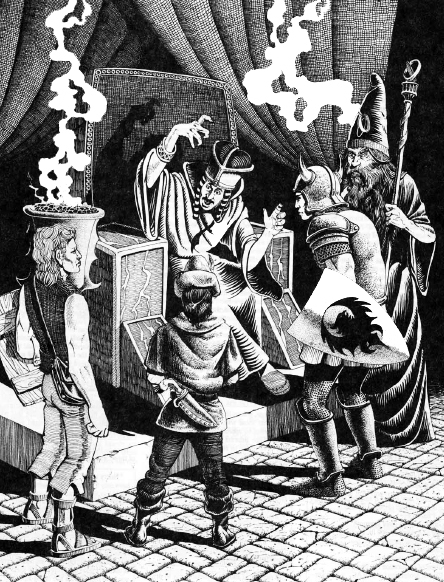 The events of one play session of Dungeons & Dragons or its clones can have adventure event ripples in a campaign if the dungeon master wants to take full advantage of them. This is one of the reasons why classic modules for Dungeons & Dragons are so classic because their very elastic & flexible. The play of course is the thing. More coming up soon! The sacking of a dungeon frees some horrid monster & the PC's must journey to the far future to prevent the end of the campaign world. Some of the more troublesome magic items of Arthurian literature show up in the home campaign & the PC's must dispose of them. 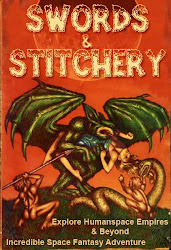 Covens of evil witches threaten the threads of fate hoping to avoid their own demise. The PC's deaths must happen. There are agents from another world crossing through the home campaign & they must be stopped. The Fey are taking full advantage of the chaos & stealing royal children. The PC's must help. A stranger from Mystara or Greyhawk comes to call on the PC's with a call to adventure on those worlds. Dangerous travelers have come to the home campaign to take magic items & relics of power for some hidden agenda. 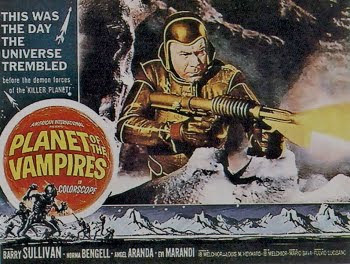 One of the PC's is destined to be the pawn of a dangerous wizard & evil forces want him or her dead. A royal is kidnapped & only the PC's can handle the dark wizard who is actually after the PC. A high level wizard needs the party's help good luck!